On August 25 I started my 4 month photo internship at the Valley News. I've been photographing almost every day since then, but I kept neglecting this blog. It's time to put an end to that, and today seems like a good day for it. 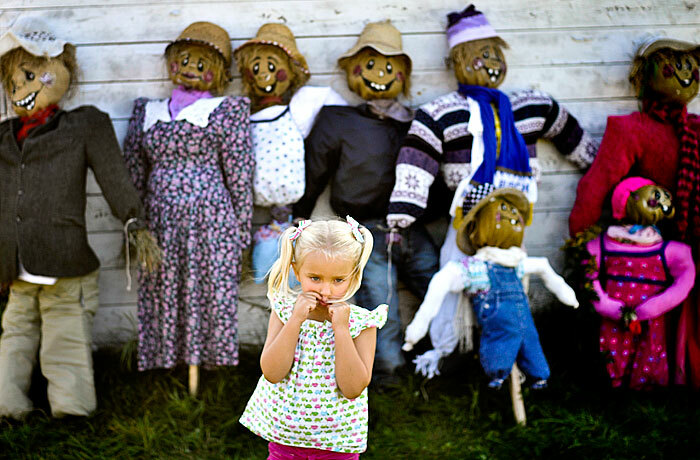 I took these two images at an annual event in Grantham NH where kids were invited to dress scare crows that will be displayed along Route 10. The first image was published in the newspaper, the other one is an outtake that I like. Both images are © 2009 Valley News and may not be reprinted or used without permission. 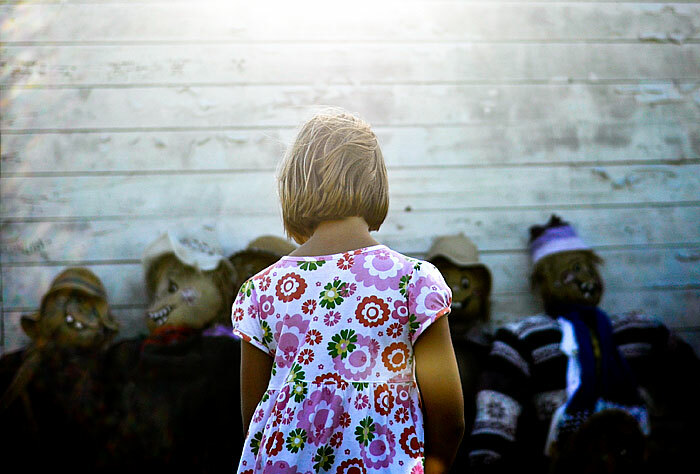 Above: Hope Kuper, 4, of Grantham N.H. walks away from a row of scare crows after her mom had taken her photo with the scarecrow that she and her friend Olivia Simione, dressed. Hope said that the scare crow that she and her friend dressedwas named "Hart Pink Flower Girl." The annual scarecrow display starts next Thursday along Route 10 in Grantham. Hope and Olivia have dressed the short one on the far right.